Safetytats - this one is a new find for us. SafetyTats are temporary tattoos that read 'If Lost, Please Call' and includes a space to write a parent's or guardian’s phone number. An interesting gadget that I saw on the list was the Bottle Armor. It protects a bottle of wine or other glass bottles while traveling. Bottle Armor is made of durable leak-proof nylon with a layer of protective padding protects bottles in your checked luggage. It even includes a corkscrew and is reusable. As someone who has experienced many times trying to wrap that bottle in anything possible so it would survive the trip home, I think this might be good travel take-along when going on wine trails, picnic, or a party and bringing a bottle to a dinner. In late October, I went on a 2 week vacation in Greece. It is a long way from home, so we needed to pack quite a bit of stuff. We also had to purchase some additional suitcases and borrowed one as well. Once all packed, we realized that the suitcases seemed a bit large. And as anyone traveling on long journeys knows, flying today with suitcases is a math game. So we checked the luggage weight limit for our airline and tried our best to determine the weight for the larger ones. However, we had to do it using some workaround methods as we did not have a luggage scale handy. You might be thinking here is this person that blogs about all the cool travel gadgets and such and he does not have a luggage scale. That is correct. That is until this weekend. On our first shopping trip back, I purchased our own portable luggage scale . We are not foreseeing another oversees trip for at least a year, however after going through the hassle and nervousness of not knowing exactly how much some of the luggage weighted up to the point of check in, I want to be sure I have one of these gizmos handy and ready to go. How do you weight your bags? Any tips on which scales you have used and did well? 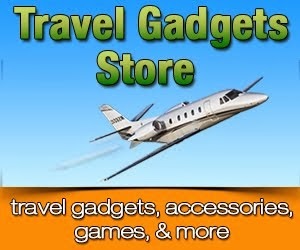 Do you have any interesting stories about luggage and airlines? There are so many things about travelling that can cause stress, that sometimes we wonder why we bother leaving the house at all. For one thing, there's the packing. 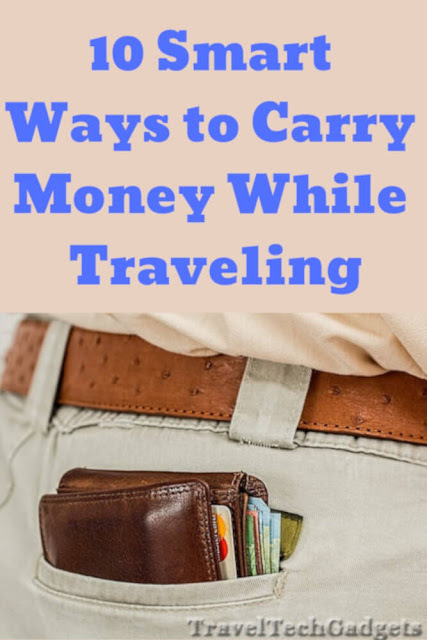 Stressing about whether or not there’s room in your suitcase for everything you need on your trip can be a real headache – and if you go over your baggage weight limit, you'll either have to pay the airline an excess baggage fee, or leave a few things behind. But we say: Stress not! There are some excellent travel gadgets and accessories that can significantly reduce the stress of going on a trip, and we’ve selected a few of our favourites that can help you have a happier holiday. With the Trace Me Luggage Tag you can greatly reduce the chances of losing your luggage forever. The Trace Me Luggage Tag is strong and durable, and contains an individual serial number and 2D bar code, linked for life to your registration details on a secure data storage system used by law enforcement agencies, airport baggage handling organisations and lost property services worldwide. If your luggage goes astray, a simple scan of the Trace Me Luggage Tag will identify it as your property. Registering your Trace Me Luggage Tag is quick and easy to do online, and there are no recurring fees or subscription charges. If you rely on mobile phones and other gadgets to stay in touch while travelling, the Travel Charger Adaptor is probably the most useful travel gadget you will ever own. 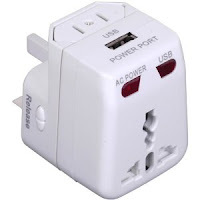 The Travel Charger Adaptor combines adaptors suitable for use throughout Europe, North America, Africa, Australasia and the Far East, as well as featuring a handy USB power socket for charging MP3 players and other gadgets that you would normally charge through your computer. Airline baggage weight limits can be very confusing – they differ from one airline to another, and when you check your bags in at the airport there's always that little nagging worry that you’ve exceeded the limit and will have to leave something behind or pay an excess baggage fee. With the Digital Portable Luggage Scale, you'll never have this worry again. This handy travel gadget can handle up to 50kg – before you leave home, simply attach it to your case, wait for the beep, and read the weight. If you're over your baggage weight limit you can remove a few things and leave them at home, or pack them into your hand luggage instead. The Digital Portable Luggage Scale can then be carried in your hand luggage so that you can check your bag weight again on the way home – which is very handy if you’ve stocked up on souvenirs and duty free goods during your holiday. Camping and backpacking holidays are lots of fun, but without a car to carry all the equipment in, you need to be quite strict about what goes in your luggage. Bottled toiletries can be heavy; even travel-sized bottles, if you carry enough of them, will weigh you down and make walking uncomfortable. The best solution to this problem that we've seen is a fantastic range of paper toiletries that are ideal for travelling light. The range includes paper shampoo, paper shaving foam and paper anti-bacterial soap - simply remove a sheet from the small, lightweight pack, add water, and lather up. Paper toiletries are also ideal for carrying in your hand luggage on flights; they're not liquid, so they won't break any no-liquid regulations when you go through security checks at the airport. The Portable Solar Charger is another travel gadget that's ideal for camping trips, when access to an electricity supply might be restricted. 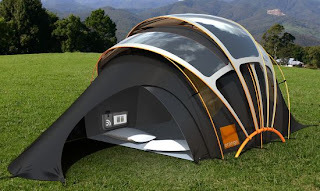 The Portable Solar Charger contains a Li-Ion battery which is charged by the sun during the day. Once charged, the Portable Solar Charger can charge your mobile phone with enough power to talk for two hours, or load your MP3 player with power equivalent to six hours of listening time. The Portable Solar Charger comes complete with cables and a selection of adaptors, making it suitable for a huge range of mobile phones as well as many iPod models. Anna Clare is Website Manager at ShinyShack.com, one of the UK's leading sources of unusual gift ideas and suppliers of travel gadgets.